It’s time to come to terms with the fact that the car you’ve been driving around for years isn’t going to last forever. Sooner or later it becomes impractical to hold on to an old vehicle. So how do you know when it’s time to purchase a brand new or slightly used car? Among the most compelling reasons to consider buying a newer vehicle is the advancement of safety features in recent years. The Insurance Institute for Highway Safety only began side impact crash-testing in 2003! Side impact crashes have a high likelihood of fatalities because vehicles do not absorb the impact forces before the occupant is injured. Cars manufactured after the 2003 model year are significantly safer than vehicles manufactured prior to the implementation of this form of crash testing. If you’re driving a car built before 2003, it may be time to consider purchasing a newer vehicle. Owning an older vehicle can often require frequent maintenance. You may want to hold off on a new car payment for as long as possible, but fixing up an old car constantly can add up to more than a payment on a newer more reliable vehicle. Do the math! If the cost of repairs is greater than the value of the vehicle, or a year’s worth of monthly payments, it’s time to consider buying a new car. Trading up while the car still has value is a better option than driving the car until it breaks down completely. 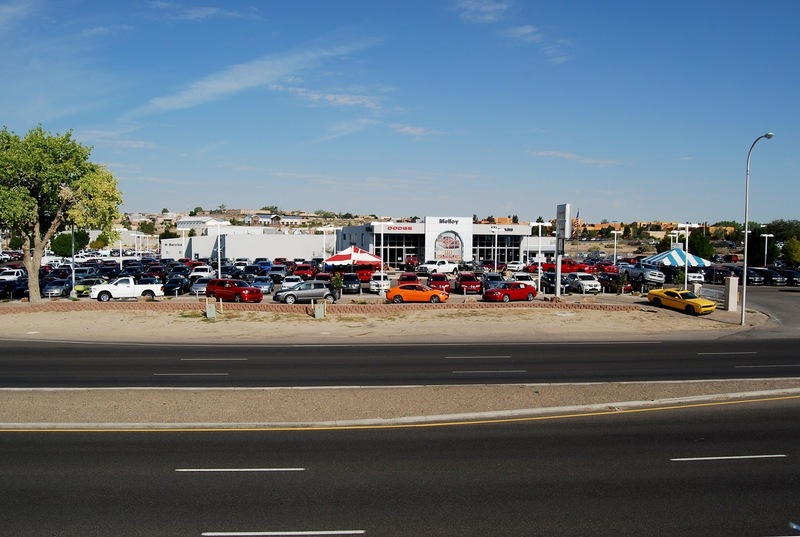 Because the market for used vehicles is a high demand, Melloy Dodge may be able to give you a compelling trade in offer on your used car or truck. Sometimes a vehicle just doesn’t fit your lifestyle anymore. Perhaps you’re driving a small sedan, but just started a family. Or your children have grown up and moved out and you’re thinking of scaling back now that you don’t need a large vehicle. Whatever the circumstances, your vehicle should fit your lifestyle, and if it’s just not working for your life any more, it might be time to start shopping for a new one! If after reading this, you think you’re ready to start looking for a new car or truck, or a slightly used vehicle, stop by Melloy Dodge and we’ll be happy to help you find a reliable vehicle that will fit your lifestyle and budget!